Here, coin experts are sharing lots of fun things you can do with U.S. coins! 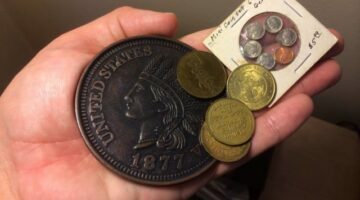 See fun ways to find rare coins, fun ways to collect coins, fun ways to learn more about coins, and other fun ways to enjoy the hobby of coin collecting. I like to buy rolls of coins from the bank, then see how many valuable coins I can find in each roll. It’s called coin roll hunting. (Yes it’s a thing.) Here are some of the coins I’ve obtained for face value – simply by buying bank rolls. 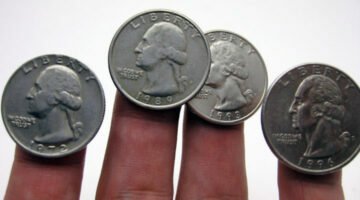 Also, see which coins you should be looking for in bank rolls – by denomination. 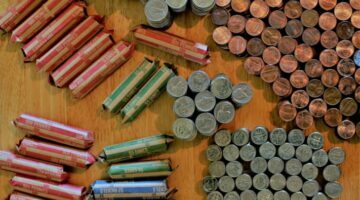 My most memorable coin roll hunting adventure was the time I spent $20 on 5 rolls of nickels and 1 roll of half-dollars. I ended up finding some great silver coins, plus several old coins worth much more than face value! What valuable coins have YOU found in bank rolls? A Fun Way To Collect Coins From A Specific Year: Assemble A Birth Year Coin Set Or A Conception Year Coin Set! 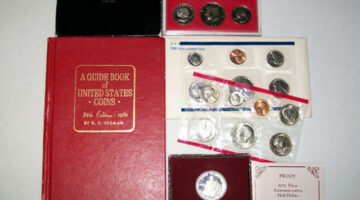 A really fun idea is to assemble a Birth Year Coin Set or a Conception Year Coin Set. It’s a collection of coins that were struck during the year of one’s birth or the year of one’s conception. The idea is to pick out of pocket change an example of each coin you find that was struck the year you (or someone you love) was born — or conceived. This is a simple DIY project for all skill levels — whether you officially collect coins or not! Here are some clever ideas for making coin sets by year — including Birth Year Coin Sets and Conception Year Coin Sets. Want something fun to do with coins… and your kids? 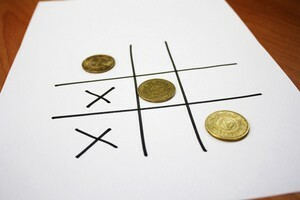 How about playing a fun coin game?! 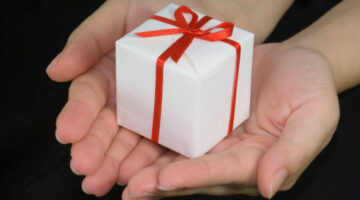 These 14 free coin games teach children about U.S. coins and thd value of money. 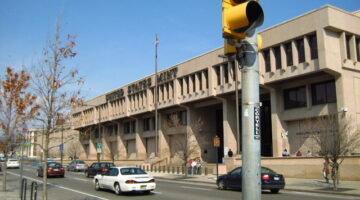 The U.S. Mint Philadelphia is one of 4 U.S. Mint facilities. The Philadelphia Mint offers a self-guided tour of its facility, for a behind-the-scenes look at how coins are made. You can also take a virtual U.S. Mint Philadelphia tour online! Do you realize that you can collect coins for face value or less — even free? You can. I’ve been doing it for years. Here are 8 easy, fun (and legal) ways to find coins for virtually nothing! Rare Coins At The Smithsonian Museum In Washington, D.C. – Can’t Go There? Then See Them Online Here! The Smithsonian in Washington D.C. has the 1804 dollar, 1933 double eagle & other rare coins. Here’s what you’ll see. Plus my tips for visiting the museum. Modern coins are great for collectors who like cool designs and cheap options. Here are tips on collecting modern coins plus how and where you’ll find them. Here’s how to submit damaged coins to the US Mint and damaged bills to the US Bureau of Labor & Engraving. It’s easy money for all of your damaged currency! 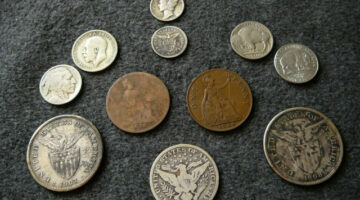 Want the easiest way to find old coins? Here are 5 proven ways to increase your odds of finding old valuable coins without buying them from a coin dealer! Find out cool info on how coins are designed, how you can enter a coin design contest, and where to go if you want to become a coin designer! The 10 U.S. Coins Every Collector Needs In Their Collection & They’re Less Than $25 Each! Love U.S. coins? Me too. On a budget? Me too. I’ve been collecting US coins since 1992. My picks for the 10 best coins to have in your collection under $25. Wonder How Old U.S. Coins Were Made? 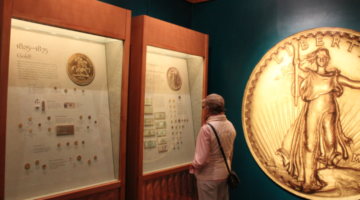 You Can See For Yourself At The New Orleans Mint Museum! Got any strange coins or tokens? Unusual looking coins do sometimes have value. Here are answers to the most common questions about odd looking coins. 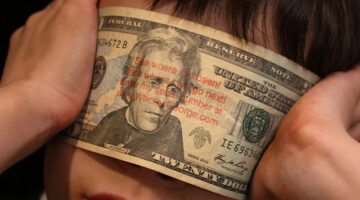 Wheres George Lets You See Where Your Money Has Been – Start Tracking Your Dollar Bills Now! Track your dollar bills with Wheres George a.k.a. the Currency Tracking Project to see where your money has been & where it goes after leaving your wallet! How was the famous Saddle Ridge gold coin hoard found in California? 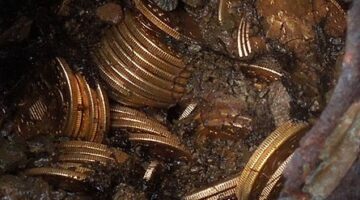 Find out here, plus tips on how to discover your own coin hoards! 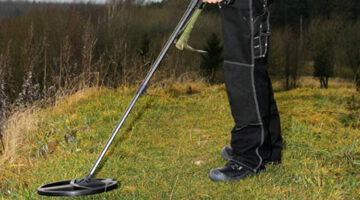 Metal Detector Review: XP DEUS Wireless Metal Detector Is 4 Metal Detectors Rolled Into One! The XP DEUS metal detector is 4 metal detectors in one and the first wireless metal detector EVER! See why this lifelong metal detectorist loves the XP DEUS. Trying to find the perfect coin gift for someone? These 5 coin gift ideas are sure to please even the non-numismatists in your life. What Happens To Coins Tossed In A Fountain? 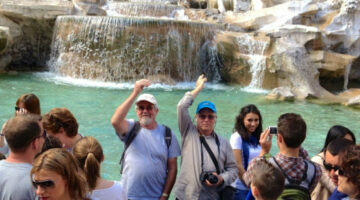 Have you ever wondered what happens to coins that are tossed into a fountain? I have, too – and I found out the answer, which I reveal here. Make a wish, and read on! Why am I a penny collector? After more than 20 years collecting coins, I still love the penny because it’s a readily available denomination with many key and semi-key dates, varieties, and errors. It’s a challenge to complete a set of pennies, even for seasoned veterans. 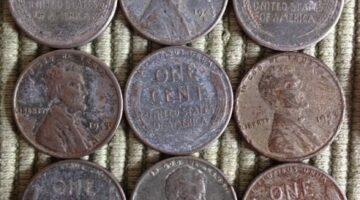 Here’s how I got my start collecting pennies. 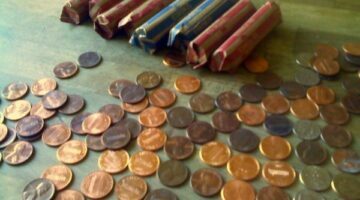 Penny rolls… You can buy them for 50 cents each, which can lead to an array of exciting and even valuable finds. Some examples of valuable pennies I’ve found in penny rolls: wheat cents, error coins, misplaced dimes, and foreign coins. Today, the rarest coins are usually purchased… or found with a metal detector. Industry expert Michael Bernzweig has some tips for collecting coins using a metal detector.